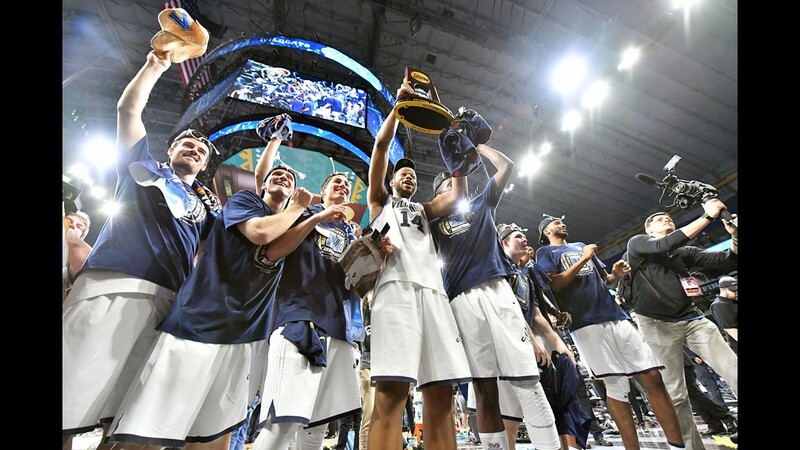 Villanova Wildcats forward Omari Spellman (14) hoist the national championship trophy after defeating the Michigan Wolverines, 79-62, in the National Championship Game at The Alamodome in San Antonio, Texas, Monday night. 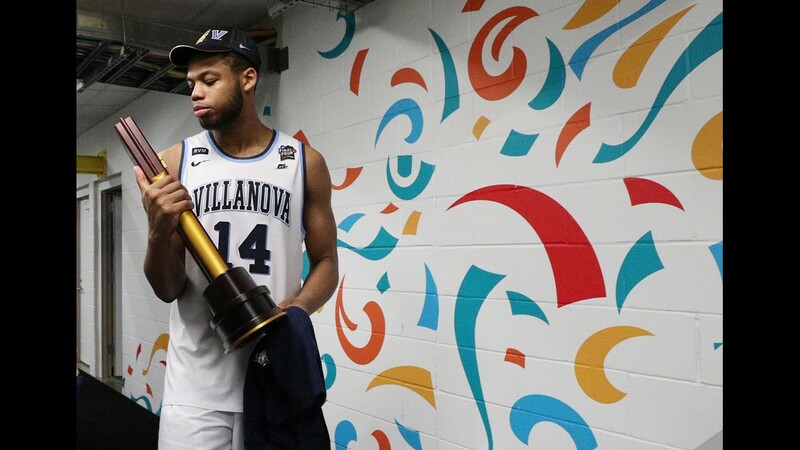 Villanova Wildcats forward Omari Spellman (14) walks off the court with the national championship trophy after defeating the Michigan Wolverines in the National Championship Game at The Alamodome in San Antonio, Texas. 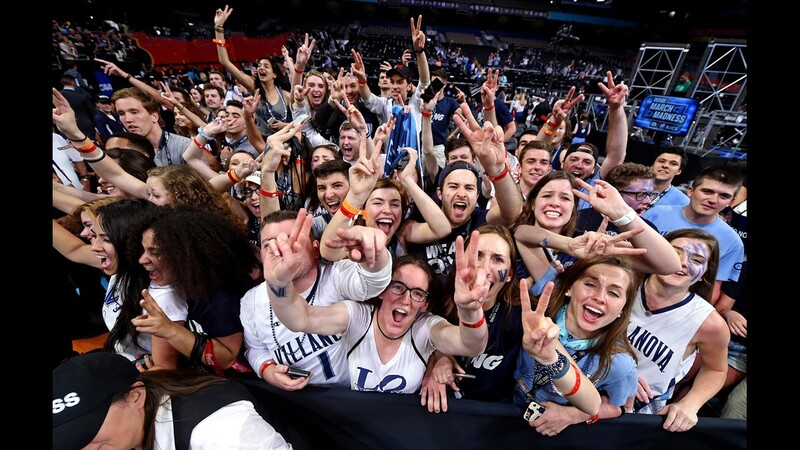 Villanova fans cheer after the Villanova Wildcats beat the Michigan Wolverines in the National Championship Game at The Alamodome in San Antonio, Texas, Monday night. 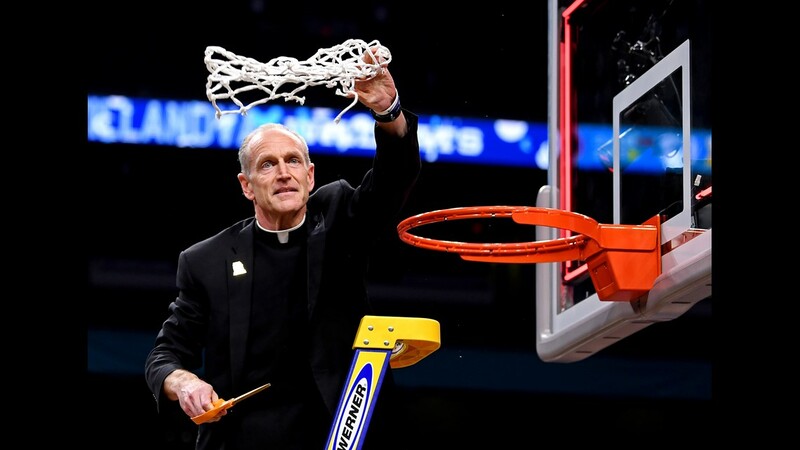 Villanova Wildcats team chaplain Father Rob celebrates with the net after a 79-62 win over the Michigan Wolverines in the National Championship Game at The Alamodome in San Antonio, Texas, Monday night. 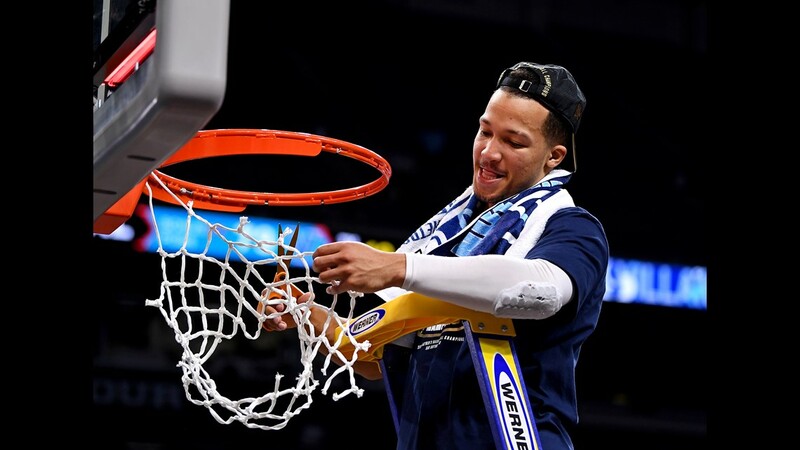 Villanova Wildcats guard Jalen Brunson (1) cuts down the net after beating the Michigan Wolverines in the National Championship Game at The Alamodome in San Antonio, Texas, Monday night. 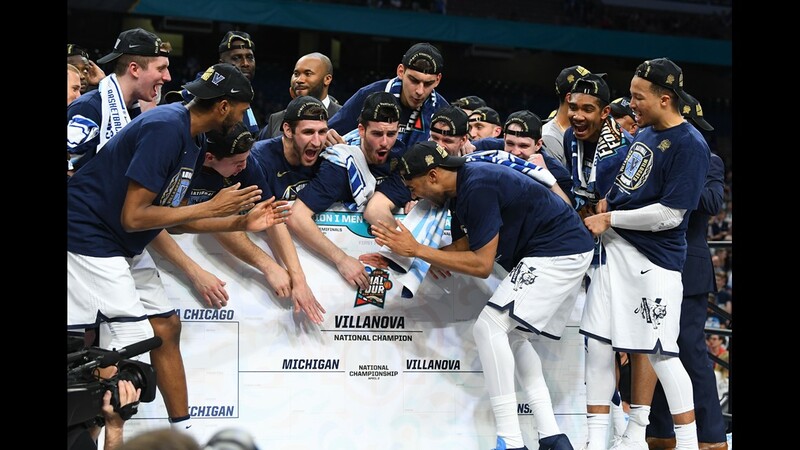 The Villanova Wildcats put the final name on the final line of the bracket as they celebrate their victory over the Michigan Wolverines in the National Championship Game at The Alamodome in San Antonio, Texas, Monday night. 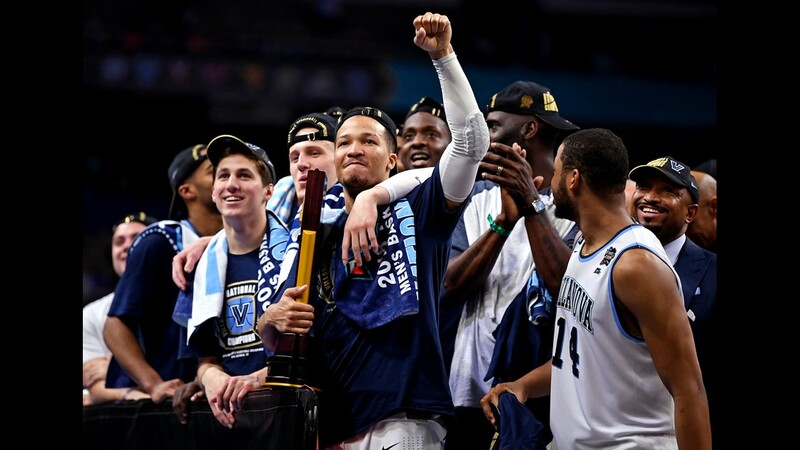 Villanova Wildcats guard Jalen Brunson (1) celebrates after beating the Michigan Wolverines in the National Championship Game at The Alamodome in San Antonio, Texas, Monday night. 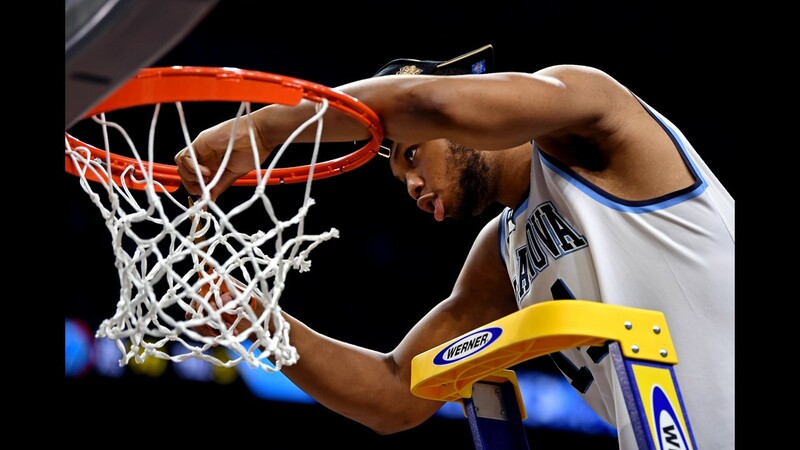 Villanova Wildcats forward Omari Spellman (14) cuts down the net after beating the Michigan Wolverines in the National Championship Game at The Alamodome in San Antonio, Texas, Monday night. 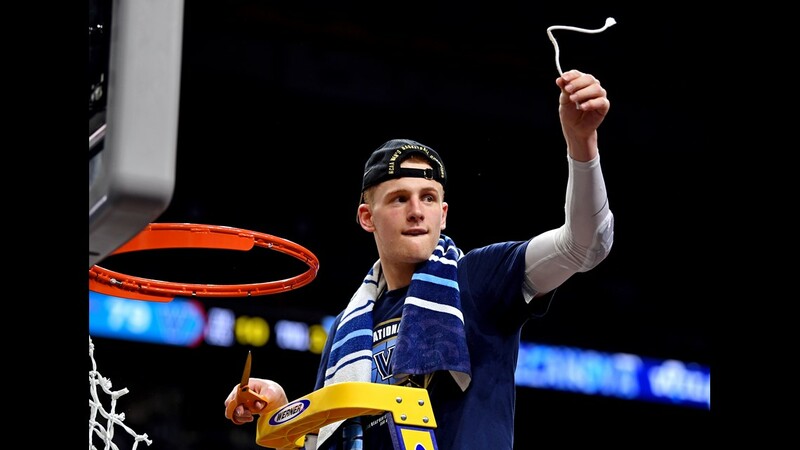 Villanova Wildcats guard Donte DiVincenzo (10) cuts down the net after beating the Michigan Wolverines in the National Championship Game at The Alamodome in San Antonio, Texas, Monday night. 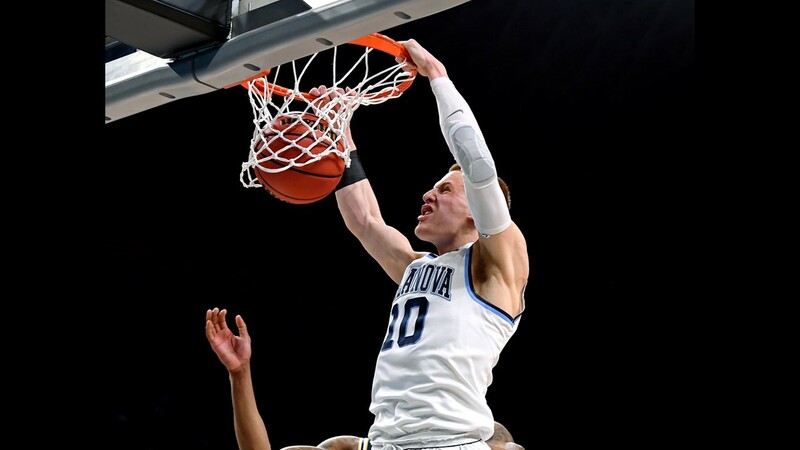 Villanova Wildcats guard Donte DiVincenzo (10) dunks the ball against Michigan Wolverines guard Charles Matthews (1) during the first half of the NCAA National Championship Game at The Alamodome in San Antonio, Texas. 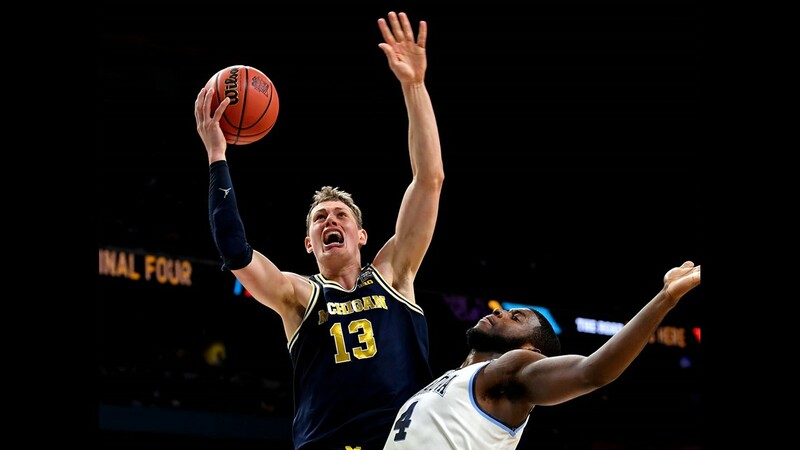 Michigan Wolverines forward Moritz Wagner (13) shoots the ball against Villanova Wildcats forward Eric Paschall (4) during the second half in the National Championship Game at The Alamodome in San Antonio, Texas. 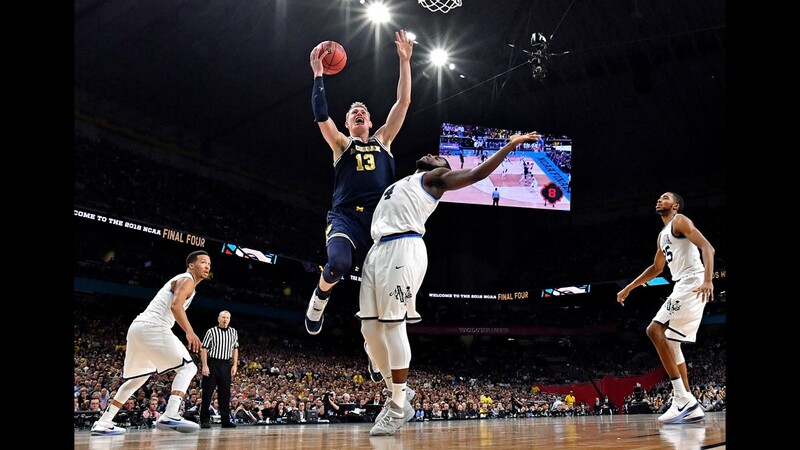 Michigan Wolverines forward Moritz Wagner (13) shoots the ball against Villanova Wildcats forward Eric Paschall (4) in the NCAA National Championship Game at The Alamodome in San Antonio, Texas. 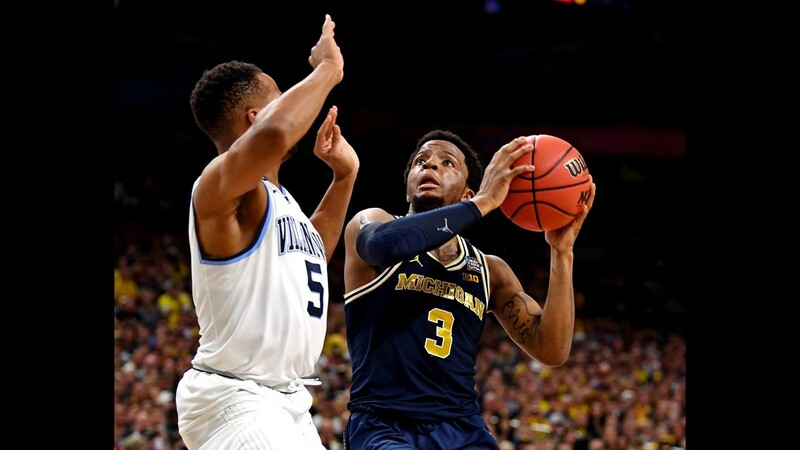 Michigan Wolverines guard Zavier Simpson (3) shoots the ball against Villanova Wildcats guard Phil Booth (5) in the NCAA National Championship Game at The Alamodome in San Antonio, Texas. Villanova Wildcats guard Jalen Brunson (1) controls the ball against Michigan Wolverines guard Muhammad-Ali Abdur-Rahkman (12) and forward Moritz Wagner (13) in the first half of the National Championship Game at The Alamodome in San Antonio, Texas. 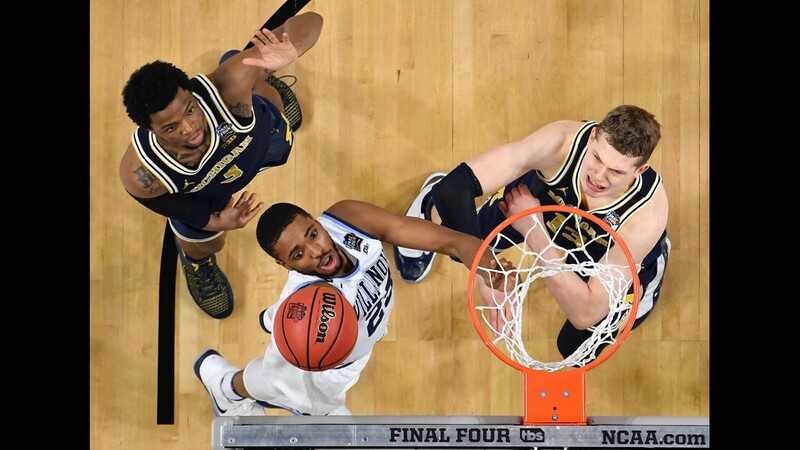 Villanova Wildcats guard Mikal Bridges (25) puts up a shot between Michigan Wolverines guard Zavier Simpson (3) and forward Moritz Wagner (13) in the NCAA National Championship Game at The Alamodome in San Antonio, Texas. 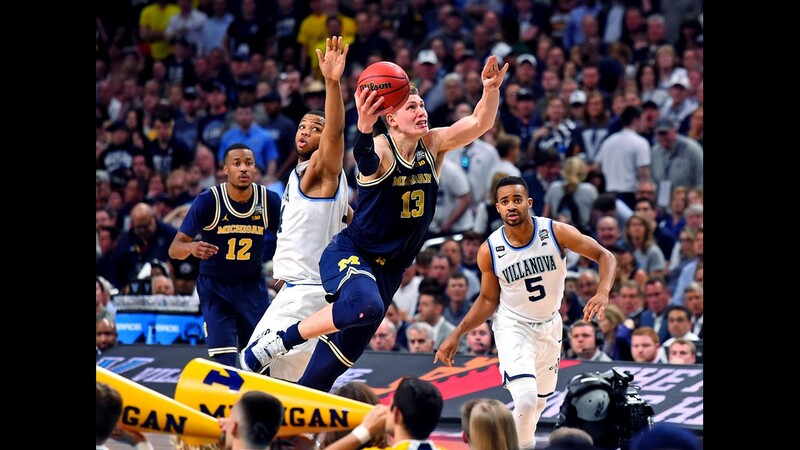 Michigan Wolverines forward Moritz Wagner (13) shoots the ball against Villanova Wildcats forward Omari Spellman (14) in the NCAA National Championship Game at The Alamodome in San Antonio, Texas. 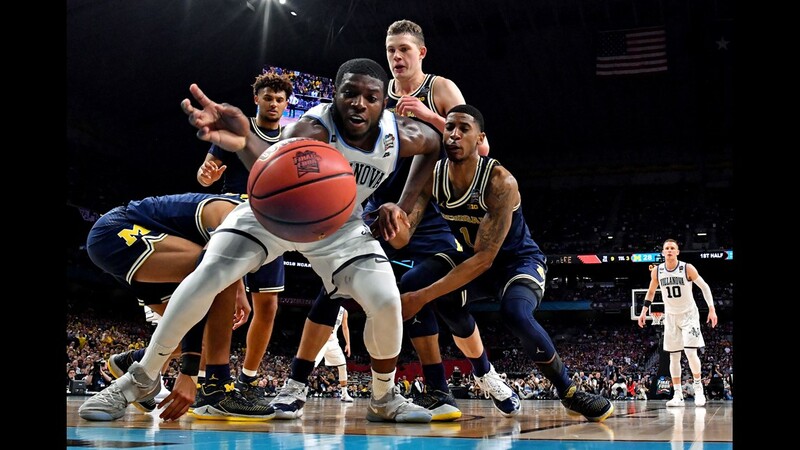 Villanova Wildcats forward Eric Paschall (4) and Michigan Wolverines guard Charles Matthews (1) go for the ball during the first half in the NCAA National Championship Game at The Alamodome in San Antonio, Texas. 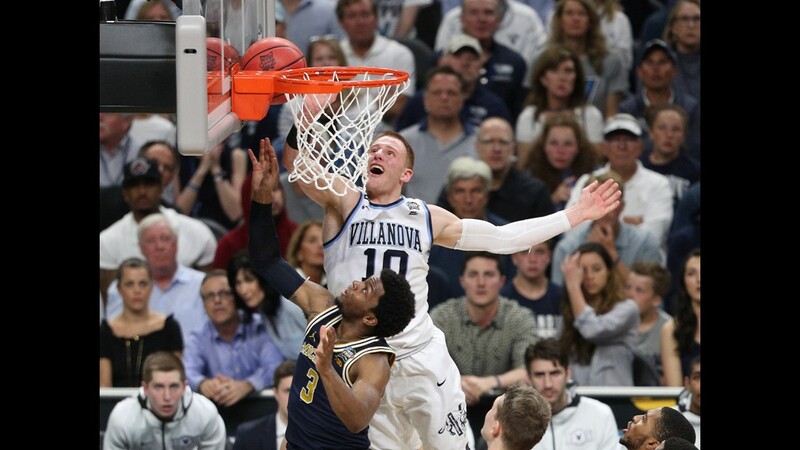 Villanova Wildcats guard Donte DiVincenzo (10) blocks the shot of Michigan Wolverines guard Zavier Simpson (3) in the NCAA National Championship Game at The Alamodome in San Antonio, Texas.